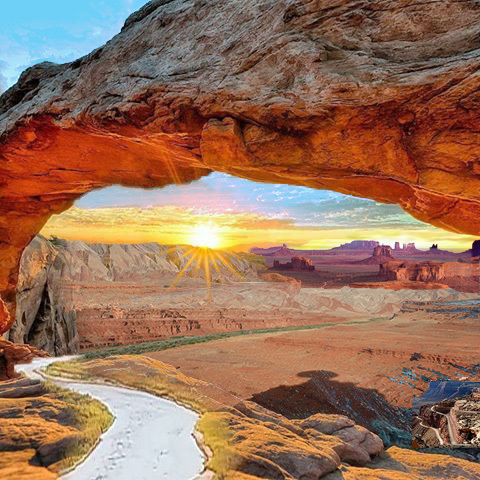 Monument Valley...The Gateway To Utah's Red Rock Country! Over 100 feet above the San Juan River near Valley of the Gods you can see & hear the water rushing over the rocks in a most beautiful setting... more...! 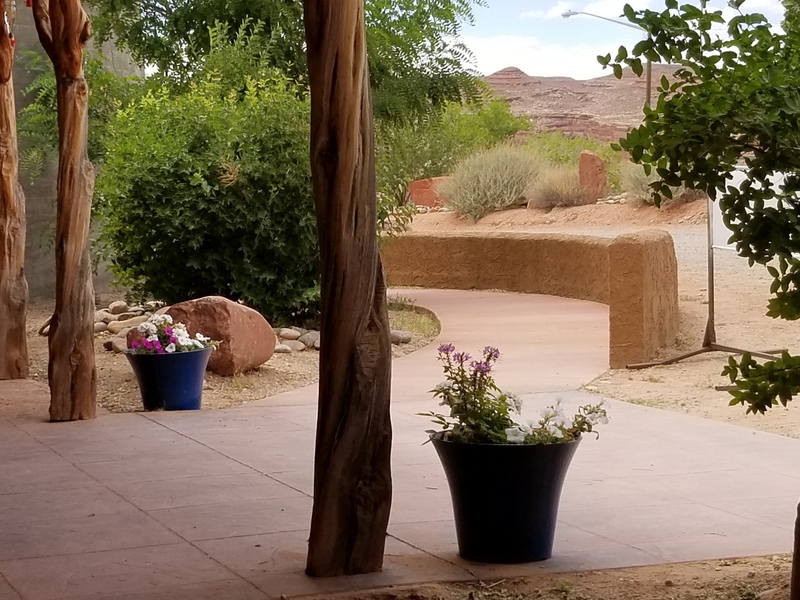 As we are not part of the Navajo Reservation, you have the freedom to wander where you wish...along with the option of a cold beer or alcoholic beverage! The most scenic route is... click here...! The San Juan River has long captivated man...along with Monument Valley & Valley of the Gods, The Goosenecks and Bears Ears National Monument. Mexican Hat is the only community in the heart of this incredible landscape. A bit 'daunting'...especially as the monument is... For more information click here. Click HERE for rates, availability & online booking (we do reccommend it as it's fast, accurate and easy! The BEST RATES, options of choosing rooms and any available discounts or specials are ONLY available through this, our official site. 10% off breakfast for all our guests. 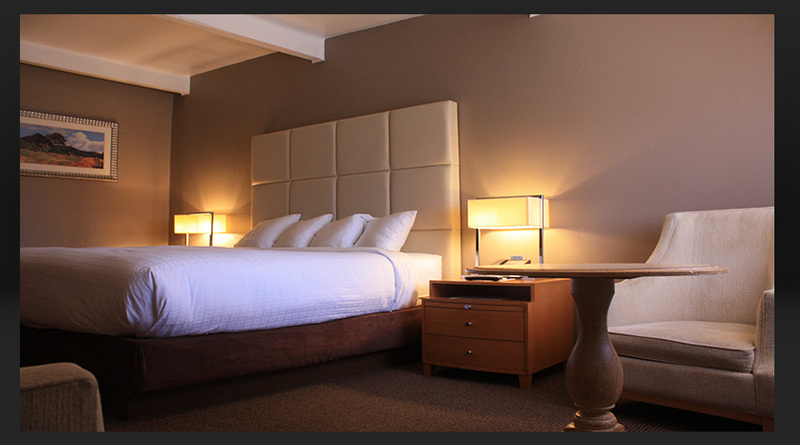 If you have questions or want to book a group of more than 6 rooms or 4 nights please contact us by email! 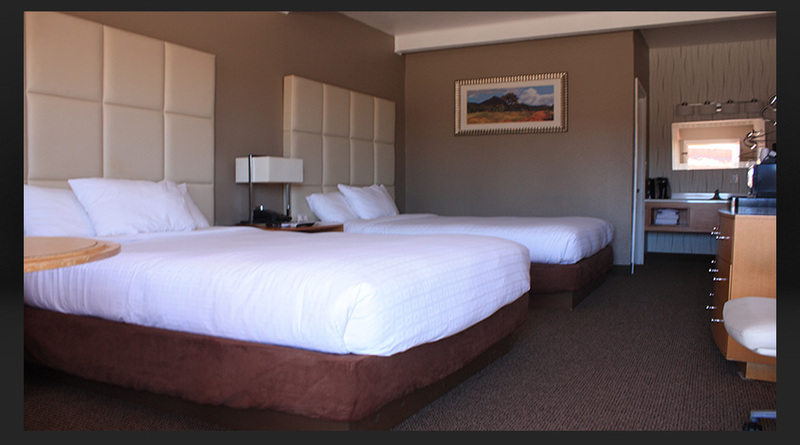 Double Queen Rooms Two Queen size beds, down comforters w/third sheeting, desk w/chair, oversized chair, flatscreen t.v., Keurig coffee maker, hairdryer, microwave, refrigerator. A view from the north with Alhambra (Seven Sisters) in the background! All room entrances are outdoors! Ground level rooms start with 1, 2nd level start with 2 (no elevator, must use stairs). 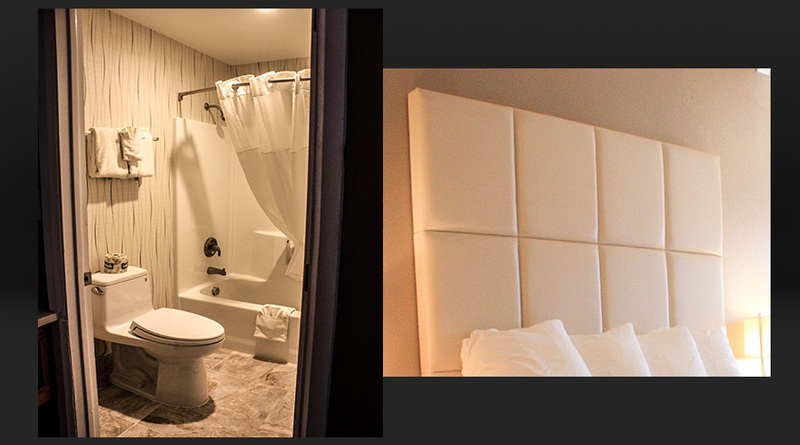 Beautiful, clean & comfortable rooms! Please know that we have NO elevator to second floor...must use stairs! We are a smoke and pet free facility. Smoking is allowed outdoors! To keep it simple...we are family! Our first love being the family band that we've kept together for over 35 years. We welcome other musicians/singers to 'sit in' with us at any time that we're able to get together. Please know that we don't have 'set' schedule for 'playing'! 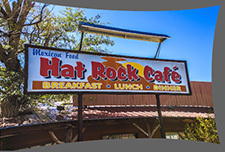 Located at the Mexican Hat Lodge across the street from the 7-11 Convenience Store...within walking distance of the Hat Rock Inn. 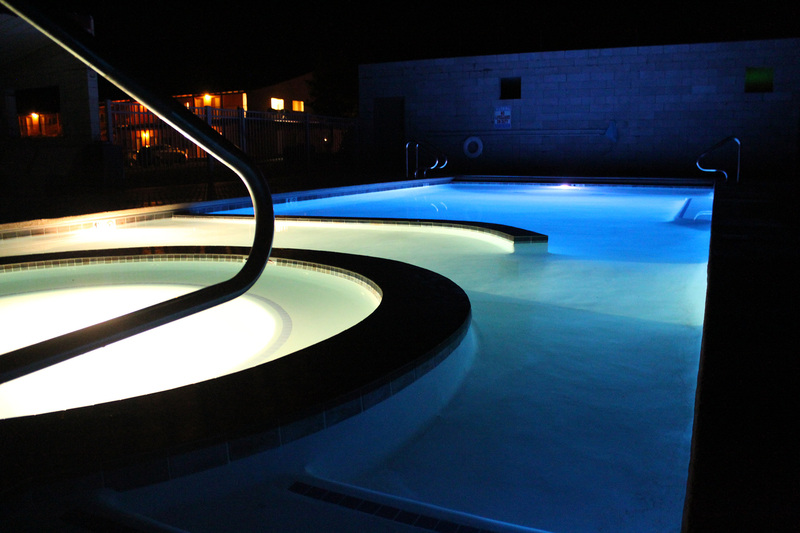 Come enjoy our beautiful Heated Salt Water Pool & Spa! 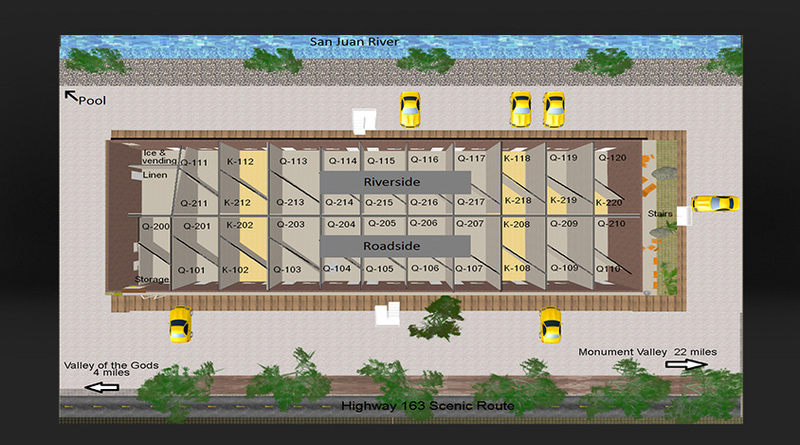 We have hiking trails, river access and a private beach! Activities: There are several hiking trails on our property ranging from moderate to however difficult you want to make it! Please note to stay away from the edges of cliffs as the rocks in some areas are not stable. We also have a wonderful swimming hole on the river for those days when a swimming pool seems too confining! No life guard on duty, swim & hike at your own risk. ATV, biking, horseback & some jeep trails. River rafting & tubing is also very popular! Plan in advance. Services: Mexican Hat has 4 motels, 3 restaurants, 1 gas station, post office & 2 convenience stores which carry essential items including beer. Internet: The Hat Rock Inn has 3 T-1 connections which we offer free of charge to our customers, no limit on devices, however, being so rural still has it's challenges when everyone is using the net at the same time so we do ask that major downloads/uploads be limited so as not to 'jam' the net & we strictly prohibit VPN's. Parking: We have plenty of free guest parking including space for trailers & buses. PARKING for REGISTERED GUESTS ONLY! 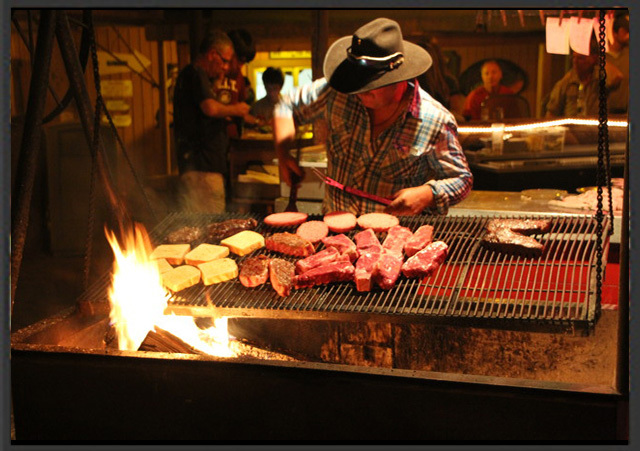 Offering our family recipes of Sonoran Style Mexican Food, Navajo Tacos, Burgers and more! Fast, friendly service, great food and buses welcome! Breakfast, lunch and dinner. Served fast, casual and fun! Full liquor license. Weather Conditions: We normally have very mild winters, a little snow some years that melts quickly. Our 'rainy season' is a few weeks in July-August, nice summer showers that don't stay long! Spring temps range from Low 50's to 80's while summer temperatures reach 110. Drink lots of water. 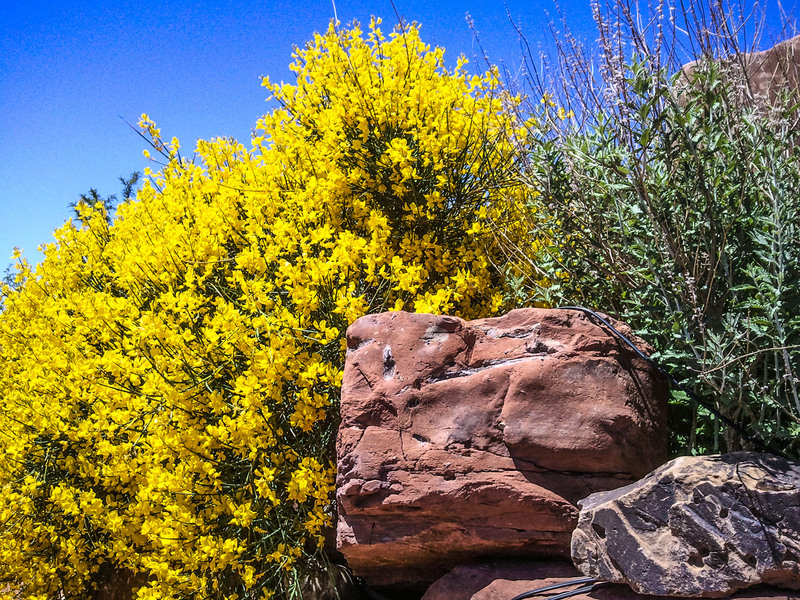 We can also have some high winds in the springtime which blows a lot of red dirt around! Shopping: Gouldings in Monument Valley has a good selection of groceries, the San Juan Inn and Seven to Eleven also carry quit a few items. 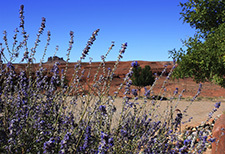 Clinics/Hospitals: There is a clinic in Monument Valley, while the closest hospital is in Blanding (north) or Kayenta (south). Where do people live? Nearly every business has at least one home attached somewhere on the property! We have a very limited workforce, most of whom live on the reservation & some who live here seasonally. Wildlife: A small deer herd, coyotes, fox, beaver, raccoons (a new thing), hummingbirds (! ), hawks, crows, rabbits, rock squirrels....lizards, bull snakes ....NO rattlesnakes or mosquitos! We occaionally have mountain lions checking us out in the winter. Not just a hole in the ground that holds water. 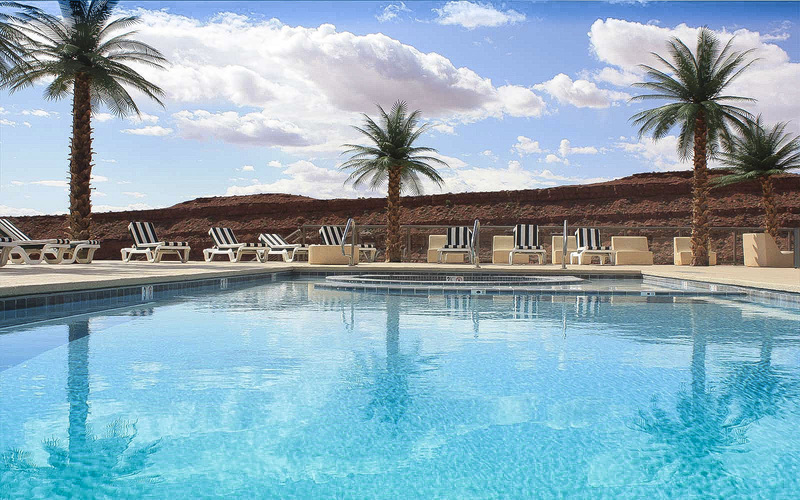 We bring to you a swimming experience in the desert! Overlooking the San Juan River where you can hear the rapids far below. We call it The Infinity View. The salt-water pool is 20'x 50' with a lap lane, a seating bench and a 10 person spa. There's also a shallow area for play!. The cool-deck is an additional 26 feet around 3 sides of the pool with a large cabana that offers comfortable couches out of the sun. For sun worshipping we have contemporary loungers and a unique amphitheater-like terrace (overlooking the view, of course! )...complete with Palm trees for shade! We have added Geothermal & solar energy to the laundry & other parts of the property with plans to expand! Retrofitting such a business is very challenging, but, we feel up to it! The water you bathe with, the water that cleans the linens...all heated by the sun or the ground. We know it will take some time to reach all of our 'green goals', but, we want you to know that it's very important to us. One day even the air in our buildings will be cooled and heated from the ground! All of our rooms have dispensers for soap, lotion, shampoo and conditioner of which is purchased from Pineapple Hospitality, another company that is dedicated to bringing the best of Green to the traveling public. These dispensers are locked for your safety! Only housekeeping can 'add' content. Let's keep all those plastic bottles out of the landfills! Water saving shower heads, LED lighting, low voltage outdoor lighting that enhances the night sky, a secondary irrigation system that helps to keep cooling costs down with the use of trees...a few other things that we can do. Unfortunately, our remote location and the high cost of fuel renders recycling an impossibility at this time, however, we will continue to look for ways to make this a reality. 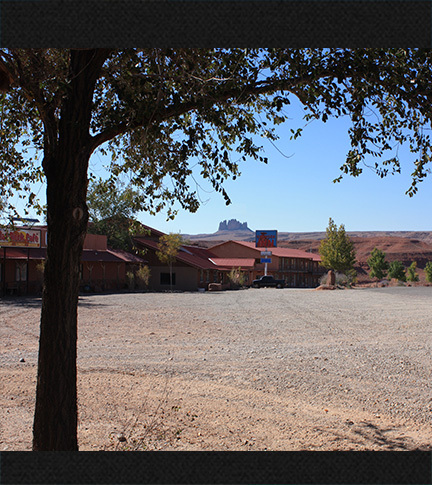 Other Lodging in Mexican Hat! Aside from bringing your own atv's, jeeps, bikes, horses...here are a few links to help you find some popular activities in our beautiful area! Some of the most beautiful photos you will find of this area! Chef Crank Photography. In the middle of...well...everything you came to see! 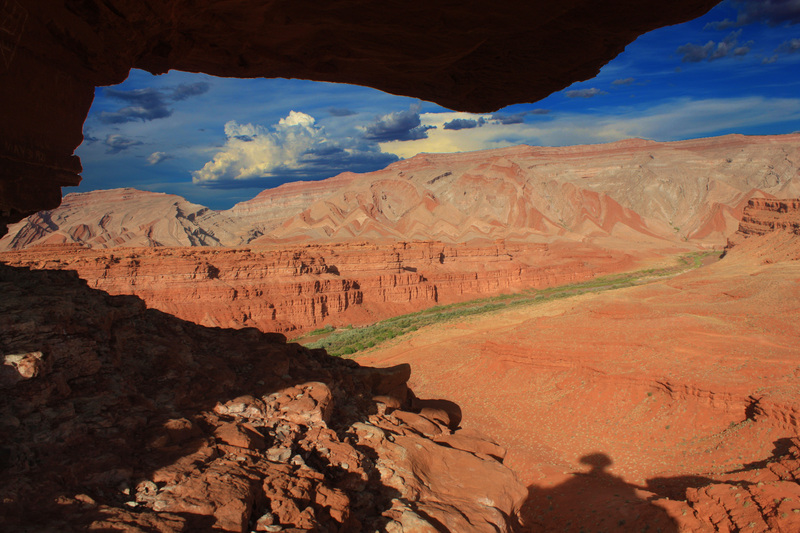 The Moki Dugway...9 miles to the bottom from Mexican Hat and don't forget the Goosenecks State Park along the way! 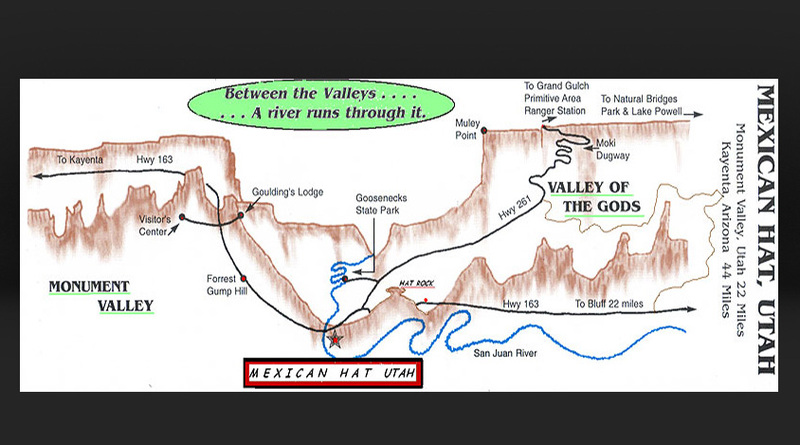 This is all IN the Valley of the Gods which Mexican Hat is proud to claim as our back yard! The Loop Road in the Valley is 17 miles and not a good place to get 'stuck' in a rainstorm! Flash floods are common here so do not cross while flooding or camp in a dry creek bed...especially if it's raining up on the mesas! The road is decent and does not require 4-wheel drive, there are many places to turn around. 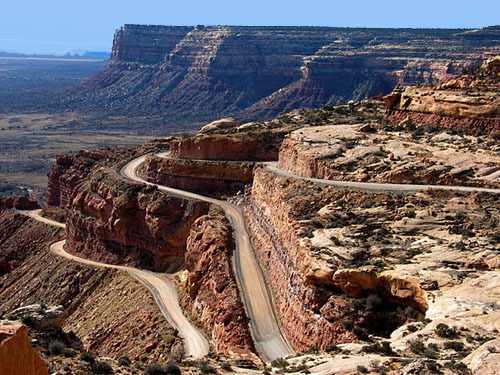 If you drive to the top of The Dugway and hang a 'left' before the pavement begins it will take you to Muley Point, another beautiful place where, like all along the edge of Cedar Mesa, you can see the mountains of Colorado, New Mexico and the Monuments in Arizona. We truly are in the middle of the most awe inspiring, photographic and remote vistas in this part of our world. Hope you enjoy! 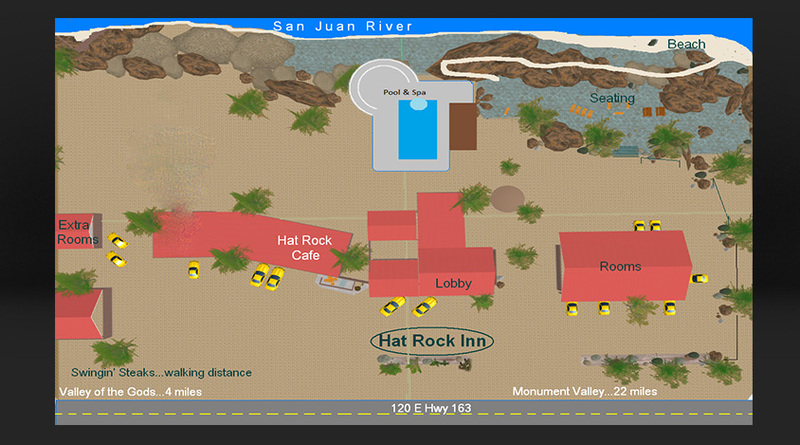 Over 100 feet above the San Juan River you can see & hear the water rushing over the rocks in a most beautiful setting. Enjoy a leisurely walk along our private sandy beach where you'll also find a wonderful 'swimming hole'...or add some hiking adventure on a more rugged trail! Relax at the pool in a shaded cabana, under a palm tree or on the sunny terrace...in the spa or the heated pool. Take in the night sky from outside your room or from a variety of low-lit areas around the property! The most scenic route is to approach from the north via Moki Dugway and Natural Bridges which will take you through Valley of the Gods, past the Goosenecks & Mexican Hat Rock, into Mexican Hat (which also offers wonderful sunsets) then a short 20 minute, amazingly scenic, drive to Monument Valley that also takes you over the famous Forrest Gump Hill (milepost 13). 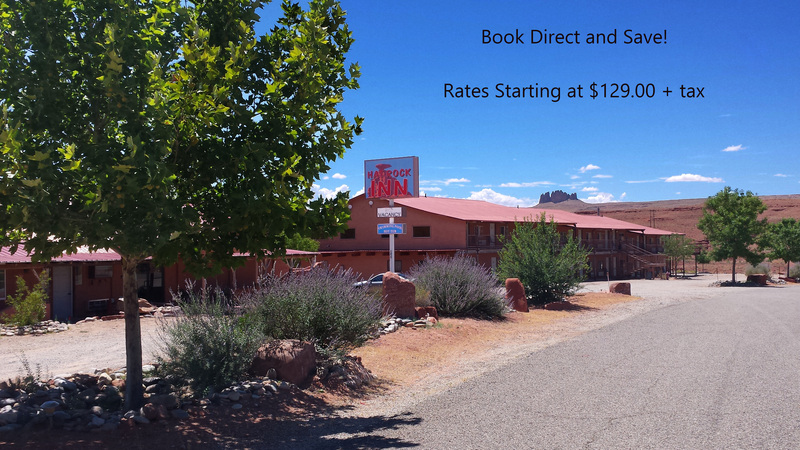 Another 20 minute drive south will find you in Kayenta, Az. Using this route, the horizon continuously beckons you onward! 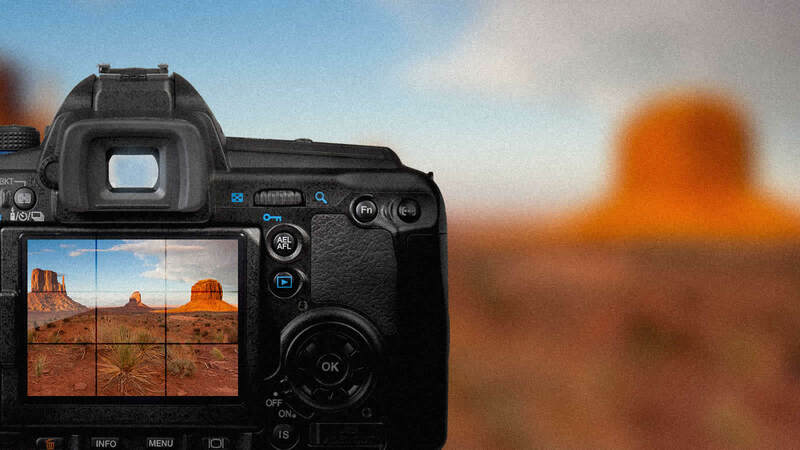 Please note that there are many 'pull-offs' for picture taking! Stopping ON the road is hazardous. Much of the area above is now within the newly designated Shash Jaa' (Bears Ears) National Monument. We do not know yet the changes that it will bring, what roads will be closed, what areas will be accessible by permit only or at all...etc. For now all of the main roads are open as before. ...we welcome the world to 'break bread' with us, take a deep breath and remember, this is your vacation and you deserve a special place where you can stop and drink in the beauty, the splendor...ponder, relax. There's no rush here! The San Juan River has long captivated man...along with Monument Valley & Valley of the Gods, The Goosenecks and now, the newly designated Shash Jaa' (Bears Ears) National Monument, Mexican Hat is the only community in the heart of this incredible landscape. A bit 'daunting'...especially as the monument is not supported by the local population. We have fought hard and continue to fight to protect this from the commercialization that eventually creates chaos in the silence, please know that we will always welcome those who cherish our Earth and respect her. From the first that arrived here horseback in the 1880's searching for the elusive gold to the many that visit now searching for that special someplace that speaks to our very soul, Mexican Hat rocks! As San Juan County Utah's landscape is as diverse as its people...monuments, canyons, rivers, lakes and mountains...there's something here for everyone. 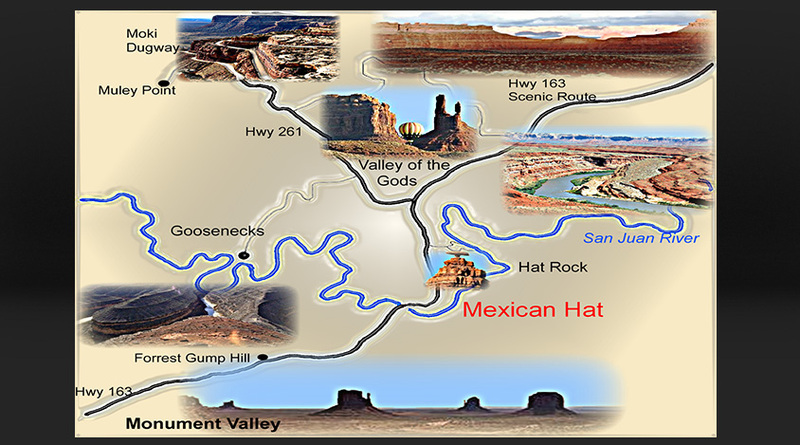 What's unique about Mexican Hat is its location in the midst of two beautiful, monolithic valleys. The well-known Monument Valley and the lesser known Valley of the Gods...each valley floor is over 1,000 ft. higher in altitude than Mexican Hat. 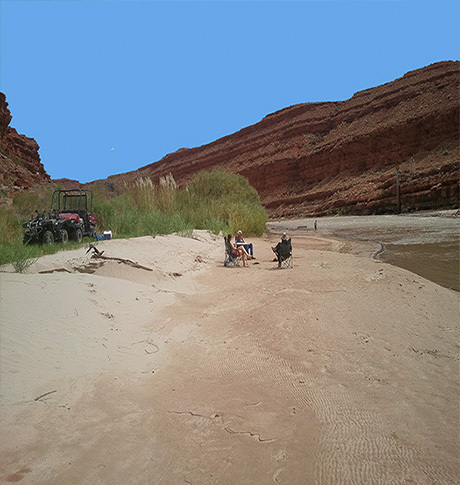 The only thing separating them is the San Juan River of which the small community of Mexican Hat is built. Mexican Hat was once a 'hub' for the cattle and sheep barons of yesteryear, the oldest producing oil field in the state of Utah, a trading destination and a locale that once was home to over 1200 people (mostly living in tents) who came to process and haul ore over the sandy roads and down the Moki Dugway (which was built for this very purpose!) from the mines west of Natural Bridges. The 'Gold Rush' of the 1800's brought sluicing equipment to the very spot that later found John Wayne fording the river horseback in a few movies. So, when you wonder where the river of Monument Valley is in She Wore A Yellow Ribbon and other John Wayne - John Ford movies, now you know! It's 'under The Hat'! Sadly, enough gold was never found to make that a worthwhile project. Today people come not for the riches that fill the material void...but rather, the riches that fill our hearts with wonderful memories, to ride the rapids on rafts and simply to relax as the 2nd fastest river in the western hemisphere creates 'sand waves' that are only found on the San Juan River and the Nile, however, us locals prefer to use inner tubes for a few hours of fun! We continue the fight to maintain our jeep and ATV trails so that people of all ages and physical abilities can continue to enjoy this vast country. We support multiple use & economic developement in the way of resource extraction in areas where it's feasable and works for everyone. We find it unfortunate that many newcomers and visitors aren't aware of our rich history, aren't aware of the machinery and equipment that has been used to try to tame this country, try to make it more habitable...'try' being the word here! Considering our history it's quite amazing that it can still be thought of as 'Pristine' land...untouched by man. We must be doing something right! ©2015-2017 Hat Rock Inn. All rights reserved.